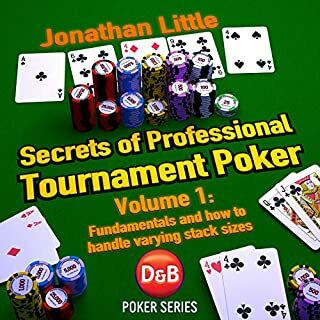 Secrets of Professional Tournament Poker, Volume 1 dealt with the fundamentals of play. Volume 2 builds on this base and examines the highly complex issue of how to handle the different stages of a tournament. At times the best strategy is to play loose, create problems for your opponent and thus keep accumulating chips. At other times an ultra-tight strategy will be the most profitable. Understanding when to "change gears" is a highly developed skill that requires a great deal of study and experience. Jonathan Little has that experience. I was not only able to find solutions to the holes in my game, but I found two more that won't be leaking. Thumbs up coach! I listen to this audio over & over again to stay sharp on all aspects of tournament strategy. Chock full of expert advice & surprisingly sage wisdom from one of the industry's best. 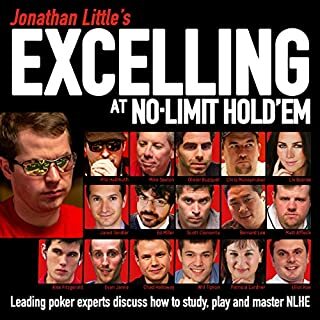 Jonathan not only teaches you how to become a world class poker player, but he also provides tips on how to live like a successful professional poker player. Great information and read. 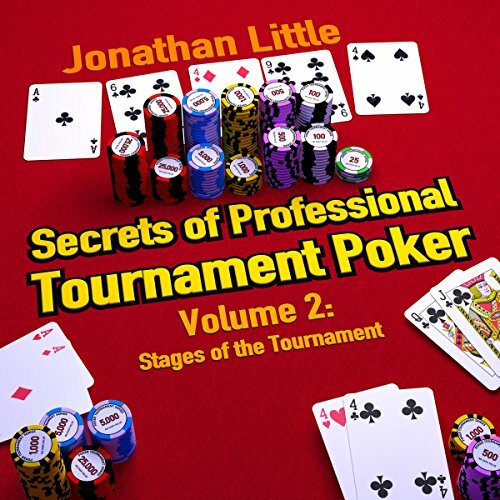 Would you listen to Secrets of Professional Tournament Poker, Volume 2 again? Why? You need to listen/read this book over several times to really understand JL's theories and why they make sense and why it's practical. 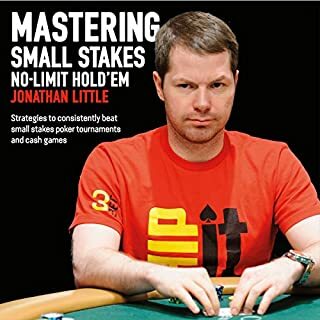 JL has obviously researched and analyzed his theories on poker strategy in depth prior to publishing this book. His suggestions and examples are well thought out and logical. 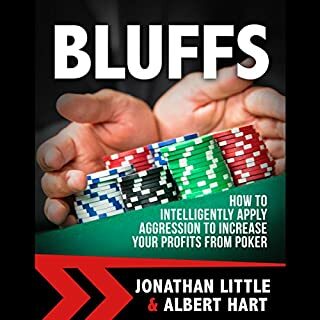 He brings together the psychology and the poker theory together so a good poker player can understand why his suggestions is the most practical play in any situation. 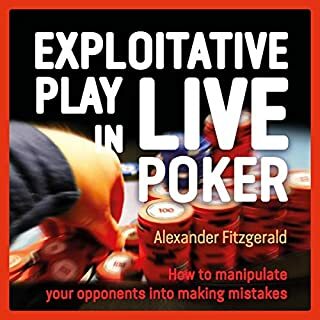 This is a must book for any poker player who wants to improve their game. was a great listen. 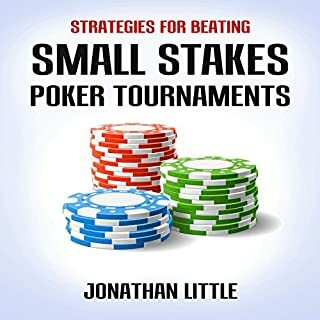 a lot of good information for someone wanting to get better at poker and thinking of making it a career. if you really want to try and play pro then ..
maybe this volume is for you. otherwise a lot of "life" lessons and one time at band camp kind of information. interesting listen but really only two or three chapters relevant to my aspirations. Jonathan is a great author and the things he teaches are 100% accurate. The best part is that he always backs up his teachings with real life data to prove it. My game has increased exponentially since I started following Jonathan's advice. I have recently taken up poker professionally after playing socially for years. This book teaches you thing that I can only say will cost you a lot of money to learn any other way. Some vital pointers and strategies that are effective if used in the right spots. Also my first audio book so 10/10 all round for me. Flopped me into becoming a winning player pretty quickly! It's only out of love that I recommend this book, as the strategies are so strong I barely want to share.